What Tiger Woods and other golfers wear at every major championship is carefully planned by their apparel sponsors months in advance. Hours of TV exposure, photos on magazine covers, websites and newspapers mean sales. Winning a tournament can raise sales 10 percent,” said Tiss Dahan, the senior director of global apparel at Adidas Golf. Just as we are influenced by what celebrities wear – they can also be influenced! Jason Moran, a top notch jazz piano player, said in a recent interview “I invested every dime I had into hats.” Why? 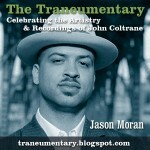 Jason noticed his hero and mentor, Thelonious Monk, wearing a lot of hats! The new owner of Twinkies – the nostalgic sponge cake snack says “We have a million A-list celebrities and athletes that are dying to be associated with the Hostess brands.” Can’t wait to see who signs up!